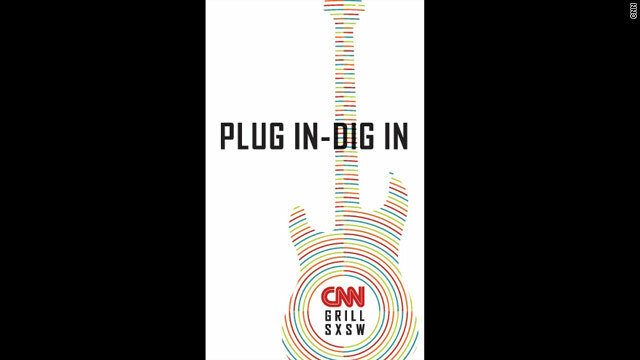 This Friday, CNN is back in Austin for the CNN Grill at South by Southwest. In addition to panels and delicious culinary delights, the CNN Grill will feature two musical acts each evening, from Friday, March 9th through Monday, March 12th. This year’s lineup is an eclectic mix of genres, as well as a motley assortment of local Austin bands and acts from across the country. Check out CNN’s Live Jam Lineup after the jump. For all the latest CNN SXSW music and programming updates, follow @CNNSXSW on Twitter. The Rocket Boys is an indie rock band from Austin, Texas. The band was previously known as Homer Hiccolm & the Rocketboys. Since their formation, they have gained popularity from playing such festivals as Austin City Limits Music Festival, Next Big Nashville, CMJ, and South by Southwest. Zeale is a hip-hop/indie/alternative artist from Austin, Texas. He has worked with a number of artists across genres, including Los Angeles’ Awolnation and the newly reunited At The Drive-In’s Jim Ward. One of Michael Jackson’s nephews, Austin Brown is a singer, dancer, producer, and songwriter based in Los Angeles. A blend of soul, rock and pop, Brown co-founded the independent record label The Royal Factory and premiered a track on an episode of “Lopez Tonight”. released their first album in 2011. Shrouded in mystery the past few months, the band finally unveiled their identities in February 2012 during a show at The Goat Farm in Atlanta. Blackberry Smoke is a hybrid of southern rock and country that formed in the South in 2004. In 2011, the six-man band was signed to Zac Brown’s record label Southern Ground. The music of the electro-pop duo Cherub ranges from ballads to club bangers, and uses old drum machines and keyboards. Their influences include Prince, Zapp and Roger and contemporary artists like Pharrel and the Dream. Berlin-born Gemma Ray blends retro and contemporary pop. The singer-songwriter has been featured in a variety of music magazines, and lives in the UK. Hellogoodbye is a power pop band from Huntington Beach, California. Formed in 2001, they have recorded several albums over the years, including their most recent Would it Kill You?.